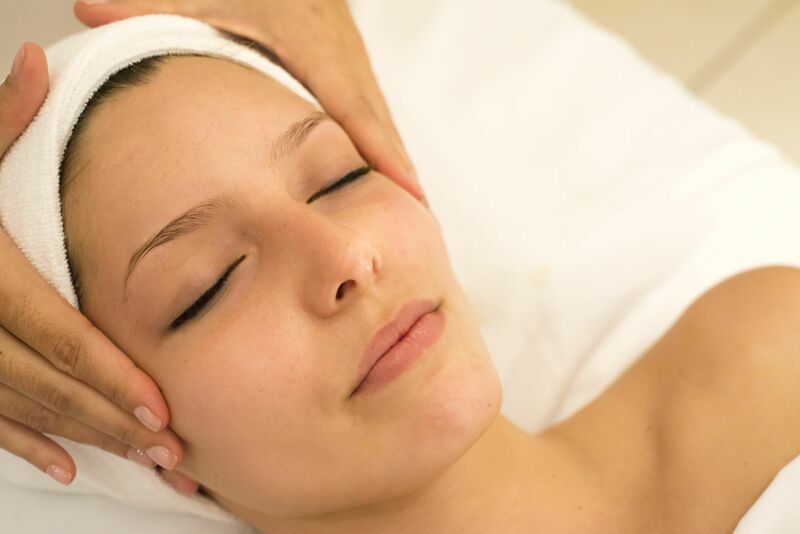 A facial is a deep cleansing treatment applied to the face for healthy skin hygiene. Facials are designed to eliminate clogged pores, blackheads, and other impurities affecting the appearance of the skin. Facials can incorporate several different steps that can include the use of creams, masques, peels, steam, exfoliation, lotions, and massage. These treatments were once thought to be only for women, but today many men are getting facials on a regular basis as well. What exactly does a facial involve? A facial usually involves a few basic steps, but each one is customized for your skin’s specific needs. Initially, your skin is cleansed and then the esthetician does a skin analysis while looking through a brightly lit magnifying lamp. You then undergo exfoliation, usually while a steam vapor is directly at your face. Extraction of blackheads then follows, if appropriate for your skin condition. To relax you and stimulate your skin and facial muscles, the esthetician will perform a facial massage and then apply a masque designed for your specific skin type (e.g. dry, oily, sensitive, etc.). Finally, there is the application of specific protective creams and sunscreens. The facial is given by our licensed esthetician, who has special training in skin care. Initially, it’s best to have a facial about every four to six weeks. After several facials, you can decrease your frequency to about four times per year, usually as the seasons change. You may need one more frequently if you are trying to clear up acne, especially when just starting off. How long does a facial last? A facial usually lasts about one hour. There are many variations on the classic European facial, including the “mini-facial” (cleansing without extractions) and specialty facials. Our esthetician will discuss your concerns and tailor the facial to your specific needs. 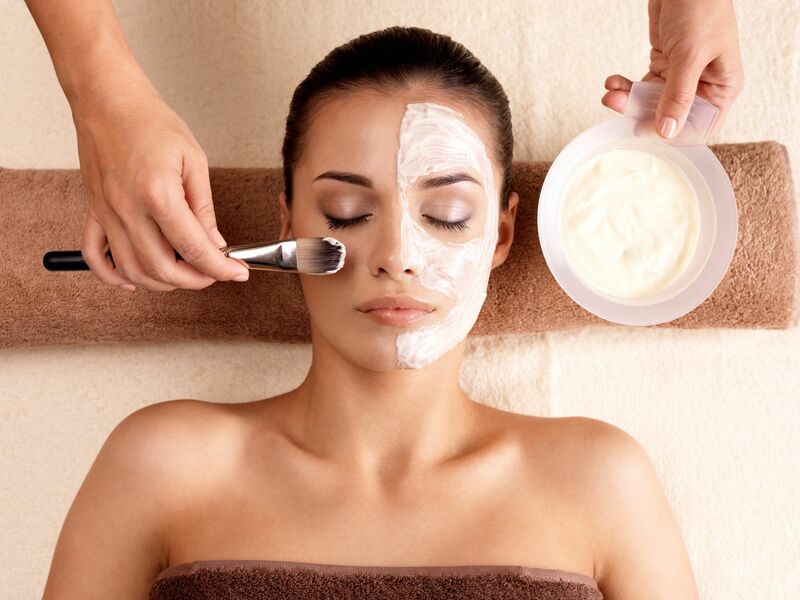 Each of our facials is customized for your skin. Reveal your healthy glow with this highly effective yet gentle facial that offers a natural alternative to chemical peels. Skin texture will be visibly refined and complexion clear and hydrated. Enliven your skin with our signature 60-minute Custom Organic Facial, designed especially for you. First, your esthetician will complete a thorough skin analysis to determine your specific skin care needs, then select the appropriate cleansers, enzyme, masks, and serums to treat your skin type. This rejuvenating facial is really into power lifting. This is the ultimate results-oriented treatment that smooths out skin imperfections while tightening and toning tired or sagging skin. Your skin will be left feeling hydrated, firm, and smooth. This Peptide Firming Facial utilizes one of the most modern anti-aging actives employed today to address aging: peptides. This potent facial picks up the slack and replaces it with skin that has renewed firmness, strength, and spring. Chemical peels have the power to diminish fine lines, wrinkles and damaged skin from prolonged sun exposure. They are also wonderfully effective at treating acne. Unlike cosmetic peels you might purchase in the store or experience at a day spa, chemical skin peels have the ability to go deeper, below the skin’s surface, and stimulate the production of collagen and elastin, as well as new, healthier skin cells. At Skin Solutions, we offer a wide variety of chemical peels, so treatment is tailored to your skin’s specific needs. Superficial chemical (acid) peels can be performed on all skin types with great results. There are a few people who are ineligible for peels based on their past medical history and/or allergic reactions they have. Chemical peels should not be done on persons with a known history of skin disorders that are associated with skin hypersensitivity. Additionally, anyone who has an allergy to a component of the peel, or who is not willing to comply with the mandatory home care instructions after a peel, should not undergo this procedure. Shortly after the application of the peeling agent, most people experience a transient stinging sensation. This sensation is usually mild, but can be more intense with some of the stronger solutions. Each person is different and will have a unique experience. The use of a small, handheld fan during the peel really helps most people to feel quite comfortable throughout the treatment. After the peel, most people experience some mild to moderate redness for 4-24 hours. Within 3 days or so, there is usually some mild to moderate flaking of the skin, depending on the type and strength of the acid used. Most people experience the best results in a series of 6-12 treatments. What kind of side effects can be expected? The most common side effects of a peel include persistent redness, skin sensitivity, and minor skin irritation. These are usually short-lived. A less common side effect can be hyperpigmentation, but even this is usually transient. It is very important that all persons undergoing a peel closely follow the post-peel instructions given to them at the time they leave the spa. This will greatly minimize any chance of experiencing the side effects. At Skin Solutions, we offer FREE no-obligation consultations so that you may speak with one of our skin care professionals personally. If you have any questions or would like more information, please do not hesitate to call us and set up your FREE consultation today. We look forward to seeing you soon! This highly specialized, progressive epidermal peel significantly reverses signs of aging and/or treats resistant, impacted acne. For a day or two after application, the face looks slightly sunburned and does not peel. After that however, the depth and intensity of this treatment requires about a week of down time as the skin flakes away to emerge totally renewed. During recovery, lines, wrinkles, scars, dullness, hyper-pigmentation, blackheads, whiteheads, and ingrown hairs all appear to peel off and away. Dermaplaning is a quick, noninvasive, painless procedure in which surface dead skin cells are manually scraped away and fine facial hair is removed. As one of the most effective facial exfoliation treatments, dermaplaning stimulates radiant, healthy skin and leaves the skin smooth and soft. Dermaplaning is a gentle, non-invasive form of manual exfoliation of the skin in which an esthetician uses a surgical blade to gently exfoliate the outermost layers of the epidermis to remove dead skin cells and fine facial hair commonly known as “peach fuzz”. This encourages the skin to regenerate new skin cells, leaving the complexion smooth, soft and vibrant. A noticeable improvement is immediate with smoother texture and fresh skin appearance. Even products penetrate the skin better following this treatment. 2. What are the benefits of Dermaplaning? 3. Will the facial hair grow back thicker? No. There are two types of hair. Fine facial hair or “peach fuzz” is called vellous hair and is the light colored translucent hair that grows on a woman’s face, chest, or back. The other type of hair is called terminal hair, which is the coarser hair you see on the head, under the arms, brows, and the lower face of men. Hairs are always one or the other and they are not damaged or altered by the process of cutting or removal. So after dermaplaning, vellous hair grows back with its same characteristics. 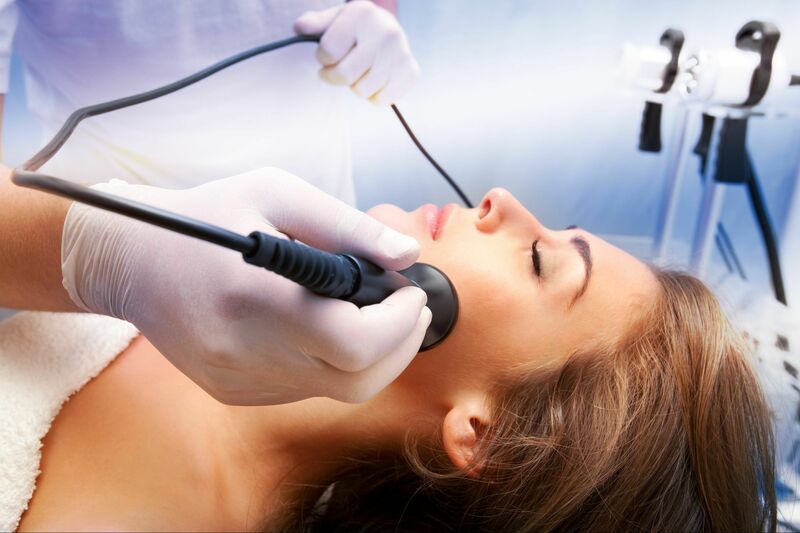 Dermaplaning is an extremely safe, non-traumatic method of skin rejuvenation. There is no more risk than when a man shaves his face. Although unlikely, there is a chance of a small scrape or nick in the skin. 5. Who is a good candidate for Dermaplaning? Dermaplaning is safe and effective for all skin types and colors and provides an alternative to chemical peels or microdermabrasion. It is a good choice for anyone who has fine facial hair, extremely sensitive skin, redness or rosacea, or visible facial veins. Dermaplaning cannot be performed in individuals who are using Accutane or blood thinners or who have active shingles, hemophilia, or weak delicate skin. 6. Can Dermaplaning be performed in the same visit as a chemical peel? A chemical peel done immediately after dermaplaning is an excellent way to make sure that the peel penetrates deeper and more evenly. They go great together and we recommend the combination for optimal results. 7. Is Dermaplaning recommended for acne skin? If you suffer from acne or over production of oil, we do not recommend dermaplaning. For acne prone skin, we recommend microdermabrasion or chemical peels, which are other forms of exfoliation and will clear and balance the skin to control sebaceous activity and decrease the formation of acne lesions. 8. How often can Dermaplaning be performed? Dermaplaning can be performed every 3-4 weeks. Nothing is quite as attractive as great-looking skin! Skin Solutions uses the latest, most advanced techniques in microdermabrasion. This procedure helps diminish imperfections of the skin such as fine lines, sun damage, and acne scarring. Our microdermabrasion is a medical technique for removing the topmost layer of skin leaving it supple and vibrant. The wand removes this layer of skin by gently abrading the skin with natural diamond chips while at the same time vacuuming the dead skin cells away in a sterile and controlled manner. Removing this outer layer of skin leaves a smoother texture and promotes new cell growth. What are the advantages of our system? At Skin Solutions, we use the DiamondTome Skin Resurfacing System. Our system does not use crystals or other loose abrasives with adverse effects. It also does not contaminate the client or the environment. The DiamondTome is a wonderful alternative to chemical peels because it is non-invasive, non-surgical and requires no down time after treatment. You will be able to return to normal activities immediately following treatment. Clients experience softer, smoother, cleaner skin after the first treatment. Treatment series vary from 6-12 sessions depending on the type of skin and the desired results. Our treatments are painless yet effective. The degree of effectiveness is controlled by a widely adjustable vacuum in conjunction with varying coarseness of wands. Because exfoliation occurs only as the wand is drawn across the skin, and there are no crystals being blasted against the skin, our system is regarded as gentler than other systems, even at the highest settings. How will I look following the treatment? Your skin may look slightly flushed immediately after the treatment but should return to normal in 10-30 minutes. Your skin will look and feel smoother and more youthful, even after your first treatment, and will continue to improve with additional treatments. Experience the benefits of microdermabrasion for yourself. Contact Skin Solutions today by calling 327-0500. Green Peel is a revolutionary skin treatment unlike any other treatment currently available. Utilizing the unique properties of bioactive compounds naturally produced by a e, this treatment produces results rivaled only by Accutane (for acne) and lasers, but without the downtime and potential side-effects. We are the only spa in The Bahamas to offer this cutting edge technology. What does Green Peel improve? Green Peel is a potent anti-aging skin rejuvenator that stimulates skin cell renewal, collagen and elastin production and improves the texture of the skin surface. It removes old and dead cells from the skin’s outer layer without harming the younger, living cells, resulting in softer, smoother skin. Penetrating micro particles additionally aid in the delivery of bio-active and anti-oxidant compounds deep into the dermis, which produce future anti-aging effects. Green Peel improves acne by reducing oil production, accelerating sloughing of the external skin layer, reducing blocked pores, decreasing bacterial counts and reducing inflammation, all without the typical irritation and delayed results associated with benzoyl peroxide and retinoids. We have found it can be as effective as Accutane, without the drug side effects! Green Peel sloughs away impurities and dead skin cells and boosts skin’s natural self-peeling process, which will help lighten brown spots and patches. Green Peel fades bruising when performed after Juvederm and other fillers.